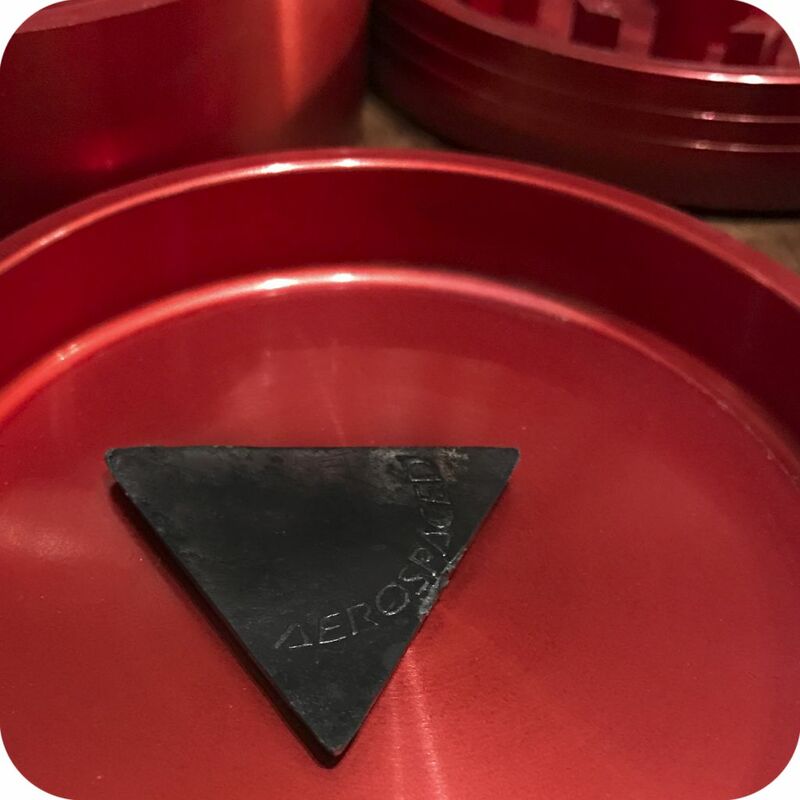 Aerospaced is well-known for producing high-quality grinders that grind your material to perfection and are built to last a lifetime. This four piece metal grinder 63mm has three separate chambers which catch ground material and leftover pollen. 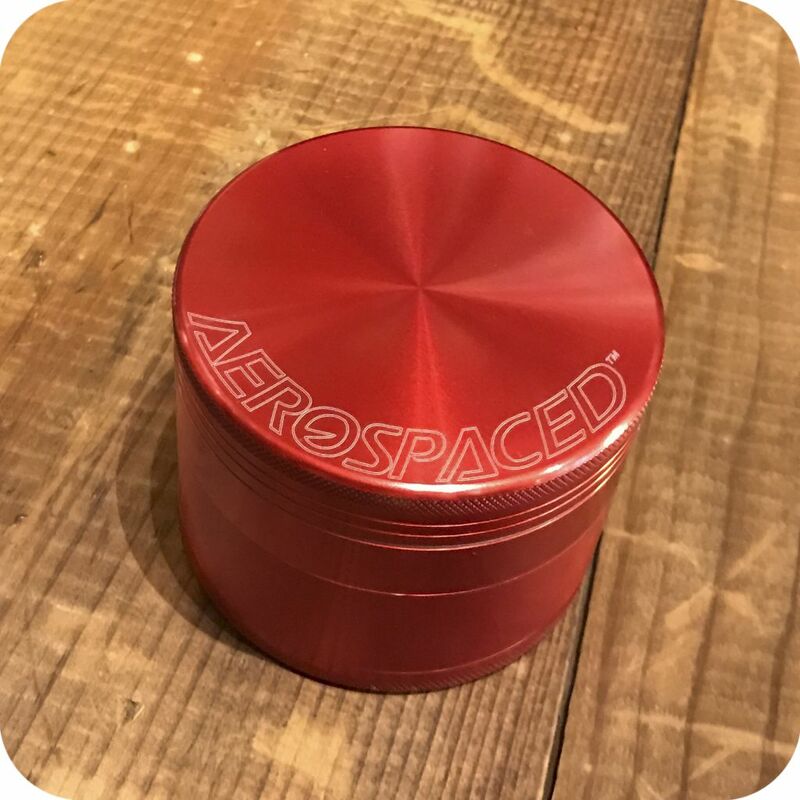 Aerospaced Grinders are made of high quality aluminum and are certainly among the best grinders that you can find in the US. 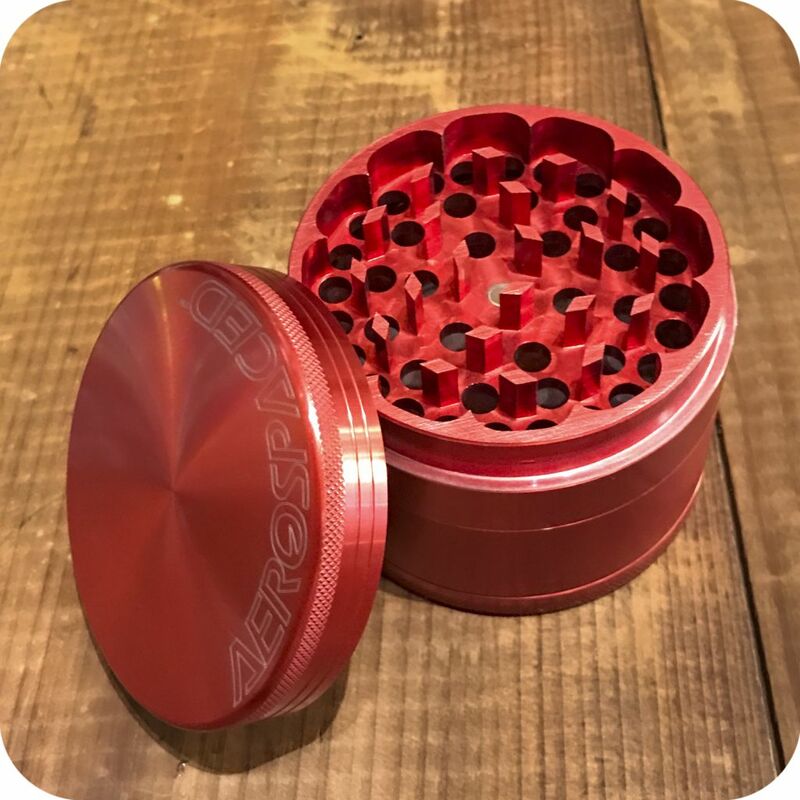 Aerospaced Grinders have a convenient four-piece setup to ensure grinding perfection and convenience. The top chamber features rows of razor-sharp teeth covered by a magnetic lid. 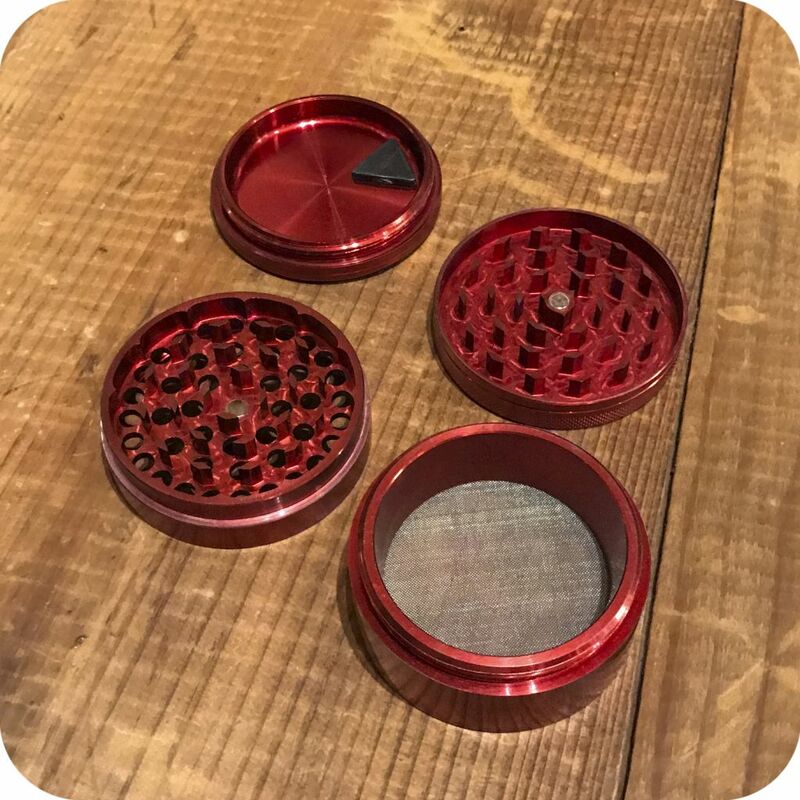 This handy magnetic lid ensures the safety and security of your legal herb. Below the first chamber is a fine mesh screen where your perfectly ground herbs will collect. Once you’ve given the grinder a good tap, allowing the smallest particles through, unscrew the mesh layer and collect your pollen from the bottom chamber. This pollen is perfect for sprinkling on top of a bowl or rolling in a cigarette. Or when you’re all out of legal herb, you’ll find out the true importance of the third chamber. You’ll also notice your smoking experience to be much more thorough with finer material, whether it’s pollen or just legal herb. It’s time to start enjoying the finer things in life. 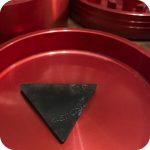 Each piece of the grinder threads together snugly which creates an easy and secure grinding experience. These grinders are great on the go or for any storage purposes. Because of their sturdy nature, you never have to worry about dropping them. 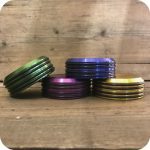 Also their large chambers make for a practical and convenient container system. 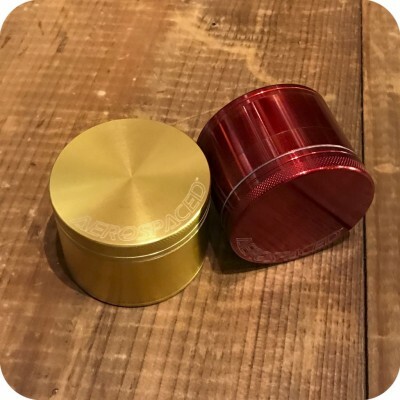 These grinders come in the following colors: red, orange, gold, green, blue, black, grey, and purple. 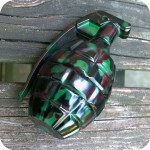 Please specify in your order which color you would like! Tags: aerospaced grinders, four piece grinder, Grinder, kief catcher, magnetic grinder, Metal Grinder, pollen catcher, pollen chamber.